There's a chalk outline on the ground. As you walk past the Police tape you hear "Nothing to see here; move along." As we discussed here, Toyota is following consumer demand and has turned its attention away from fuel cell vehicles to battery electric vehicles. Similarly, the oil companies walked away from Hydrogen filling stations in 2014. 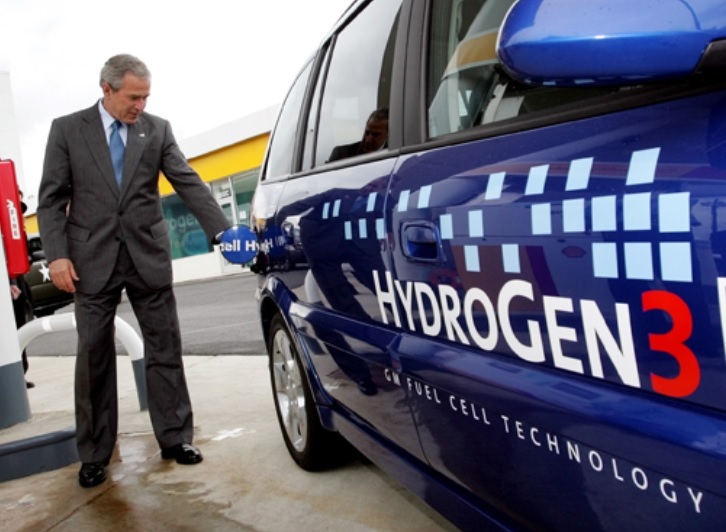 And in 2016, several parts suppliers have shut down their hydrogen fuel cell programs. Given this, you might say that FCVs are dead, and if you do, then that begs the question, Who Killed the FCV? Just as the documentary Who Killed the Electric Car? listed the suspects and the evidence against them. Let's run down the suspects for the "killing of the FCV." There's our suspect list. Is there anyone else that should be there? Let me know below along with the case against them. The two FCVs that are available today are the Toyota Mirai and the Hyundai Tucson FCV. Fewer than 2000 Mirai have been delivered and Hyundai has about half that number of Tucson FCVs on the road. It is not clear if these small sales numbers are due to low demand or low production volumes. Many of the customers that are interested in alternative fuel vehicles have moved to battery electric vehicles. The marketing of BEVs and FCVs have often pitted these two technologies as rivals. Even if the supply is limited, I have not seen consumers lining up demanding more fuel cell vehicles. The US Government kickstarted fuel cell development during the space race of the 1960s and supported FCVs with more than $1B during the G.W. Bush administration. This support was yanked away under Secretary Chu's tenure in the DOE. 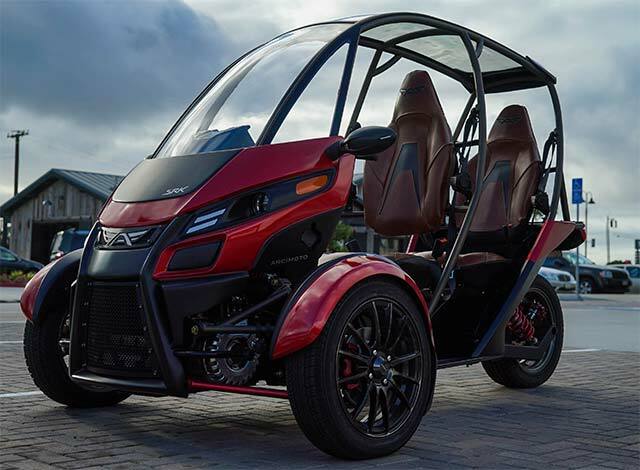 The ZEV mandate gave credits to both battery electric vehicles and fuel cell vehicles. Many of the rules were written to favor fast refueling times and favored FCVs over BEVs. Meaning that a FCV sold in California could receive twice as many credits as a comparable BEV. This may have been unfair to battery electric vehicles, but it did not contribute to the death of FCVs. Fuel cell stacks made great technological strides from the 1960 to the 1990 and again from the 1990 to the introduction of the Mirai in 2015. When coupled with a small battery pack (as they usually are) these stacks have the power output to deliver a satisfying driving experience. If you read more than one FCV detractor article, you'll hear the efficiency argument. One version of it is shown in the image below. Battery electric cars can be charged directly by renewable energy. If that same energy were put into Hydrogen production you would get far fewer resulting miles. The Hydrogen has to be split from water, compressed, stored, transported, pumped into the vehicle and finally processed by the vehicles fuel stack. This argument is true. Electric cars are more efficient, but the inefficiencies of H2 don't matter if the Hydrogen could be delivered profitably. The well-to-tank process for crude oil is complex, but it can be done profitably with an affordable resulting product. The simplest system is not always the one that wins, its the one that best meets the customers needs. Hydrogen filling stations take about 3 years to build and have a cost of about $1 million. When Shell or Exxon had the option to open a new gas station that would profitably sell gasoline to thousands of cars or to spend significantly more to build an H2 filling station that might have 3 cars in a week. Building a H2 filling station did not make financial sense unless the station were highly subsidized. 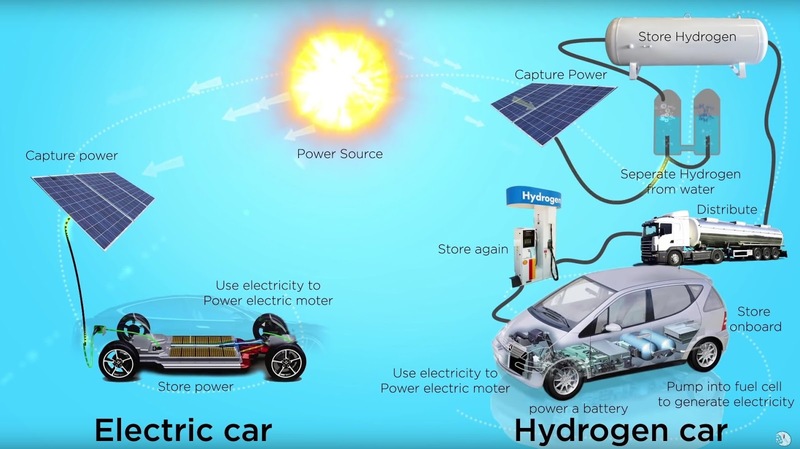 Battery technology has advanced far faster than fuel cells. Batteries were a primary technology to making smaller longer lived smartphones and nearly every high-tech hardware company is committing part of their R&D budget to improving battery energy density, lifespan, thermal profile, packaging, and/or management. These improvements along with the ubiquity of electrical outlets for recharging gives batteries a big advantage in performance improvement rate and refueling infrastructure. Tesla made EVs cool. Guilty, case closed. Actually, it is a more nuanced than that. Tesla rode the wave of advancing battery technology. This was being driven by Panasonic, BYD, LG Chem, and others. The EV revolution was coming with or without Tesla. Tesla just (greatly) accelerated it. Honda, Hyundai, and Toyota were three of the biggest FCV supporters, but nearly all of big automakers had POC vehicles. Brad Pitt showed up to the premiere of “Ocean’s Thirteen” in a BMW Hydrogen 7. The car companies have spent billions trying to bring FCVs to market. They have chased the unicorn long and hard. 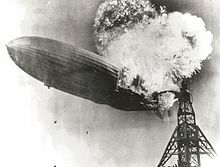 Like Godwin's Law, if you talk about FCVs long enough, some one will mention the Hindenburg. There have been no FCV fires that I am aware of. Vehicles need a lot of energy to move. This is inherently dangerous regardless of fuel choice. There are more than 100,000 gasoline car fires each year. I have not seen any data that shows FCVs would be more dangerous than the current status quo. As you can see there are multiple guilty parties and multiple contributing factors. There is no single magic bullet that ended fuel cells. Whatever the obstacles or excuses, after decades of research and development FCVs have been unable to produce vehicles that consumers demand in droves or the infrastructure needed to fuel them. 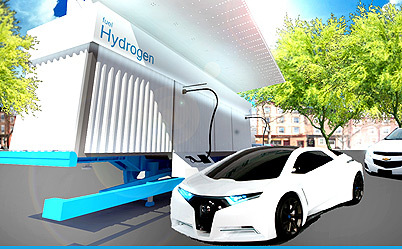 Consumers have grown weary of walking toward the hydrogen Mirai mirage. In the battle to determine the successor to gasoline, H2 is the Betamax to battery's VHS or it is the HD-DVD to battery's Blu-ray. FCVs may have a chalk outline around them or they may just be in critical condition on life-support. Just as EVs were killed in the 1990s and revived in the twenty-teens, FCVs could have their day again if the right breakthroughs occur. We'll be watching. A ten-year-old girl named Bria Loveday wrote a letter to Elon Musk and suggested that he hold a contest for fan-made Tesla ads. Musk accepted and "Project Loveday" was born. 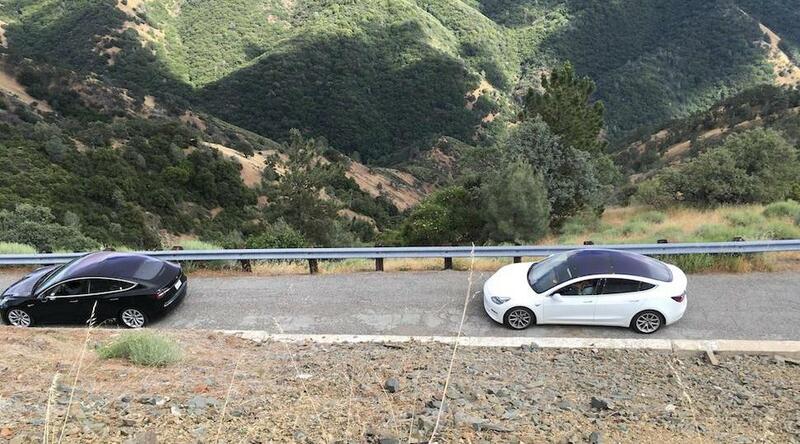 The challenge was issued to Tesla fans to create a 90 second or shorter homemade ad for Tesla. The top ten entries will be featured on the Tesla’s social media channels and perhaps on in-store displays. Additionally, the winners will receive an invitation to a future Tesla Product Launch event. The entry deadline has now past and the videos that are under consideration are posted on YouTube. Certainly, one of the things that the judges will be considering is the popularity of each video. Below is a playlist with more than 100 of the videos. Thumbs-up your favorites and share them to help them get noticed. If your favorite Project Loveday video is not on the list, leave a comment below and I'll add it. The Path of Lease Resistance - To buy or lease your Tesla Model 3? The Tesla Model 3 will be coming later this year. Thousands of people will be taking delivery of their new car (maybe you are one, I'll assume so). Before you do, you'll need to figure out how you are going to finance it. 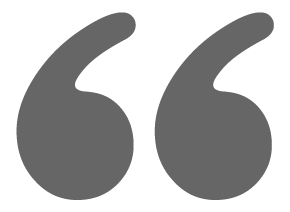 The ancient wisdom of car buying was buy used, pay cash, and drive the car until the wheels fall off. 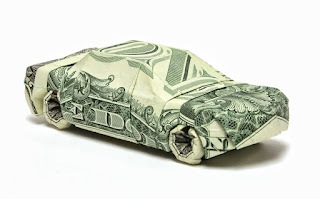 If you could not pay cash, the next best option was a short term (2 or 3 years) car loan. The last bit of the ancient wisdom was "Never, ever lease a car!" This advice applied to gas cars, things are different now, does the ancient wisdom still apply? Let's look at the pros and cons. Leasing locks you into a payment. You don't own the vehicle. There can be mileage limitations or dents and dings that come back to haunt you when the vehicle is turned in. When the lease is up, you can turn the car in, but then you don't have a car and you have the same question for your next ride; should you lease or buy. This can lock you into a perpetual cycle of car payments. That said, I am still considering a lease for my Model 3 when I get the email to start financing. Automobile technology is advancing faster than is has since steam engines were on the roads of New York City. This means that the Model 3 that is sold later this year could be leapfrogged by better technologies in just a few years. Elon Musk has made it clear that this generation of Model 3 will not have a heads up display (HUD). But in 2019, Tesla could roll out an advanced 3D augmented reality windshield that takes driving to a whole new level. This is an absurd unrealistic example just to make a point, Tesla will continue to innovate. If you are locked into 5 years of car payments, you won't be able to easily upgrade. With a two or three year lease, on the other hand, you'll be turning in your 2017 car in 2019 or 2020 and then you will know if the Model 3 is the car for you and if you should buy the next one. Battery technology currently has more research dollars being poured into it than ever before. Advances will happen. How much will a ~250 mile range EV be worth when 400 mile EVs are on the showroom floor? If you have a lease, you can just turn it in at the end of the lease term. You are not stuck with yesterday's battery technology. The cutting edge car can cut both ways. Being on the cutting edge of new technology can be just what you wanted, or leave you wanting more. 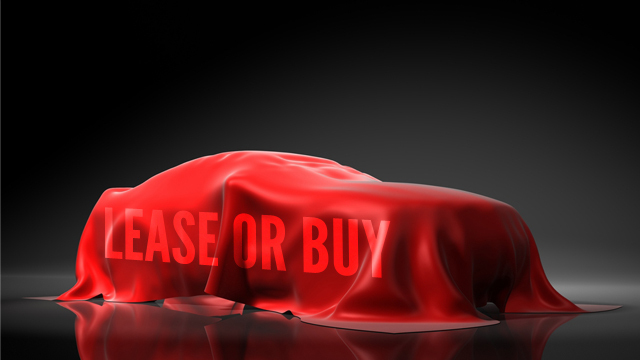 A lease gives you easy options to upgrade to the next big thing or keep the car you love. Here's an example of the pace of change. I recently took my Model X to the service center for a minor issue. They gave me a loaner 2013 Tesla Model S to drive while they worked on my car. This loaner is the car model that won Car & Driver Car of the Year. It was a great car when it came out, but compared to a 2017 Tesla, it was primitive. It had 3G instead of 4G LTE, it didn't have autopilot, just to name a couple. First world problems, I know, but the rate of change seems to be increasing, so it is likely that the 2020 Model 3 will be radically better than the initial cars off the line in 2017. Okay, perhaps that last one on that list is just wishful thinking, but several owners have asked for it. The above list is in addition to the dual motor and performance features that are likely coming in early 2018. And who know what other surprises Tesla has up their sleeve for 2019. If any of these are must-have features for you, then a lease is likely a better option. I've never leased a car before, but this time I might. Electricity follows the path of least resistance. In this case, my electric car purchase might follow the path of lease resistance. A lease will likely cost more than just buying the car, but the additional money is an insurance payment for future-proofing for new features and battery tech. The Model 3 is a new car, maybe I won't like it (unlikely but possible). If that's the case, then I turn in the car when the lease is up and maybe I put in a reservation for the Tesla Pickup Truck.